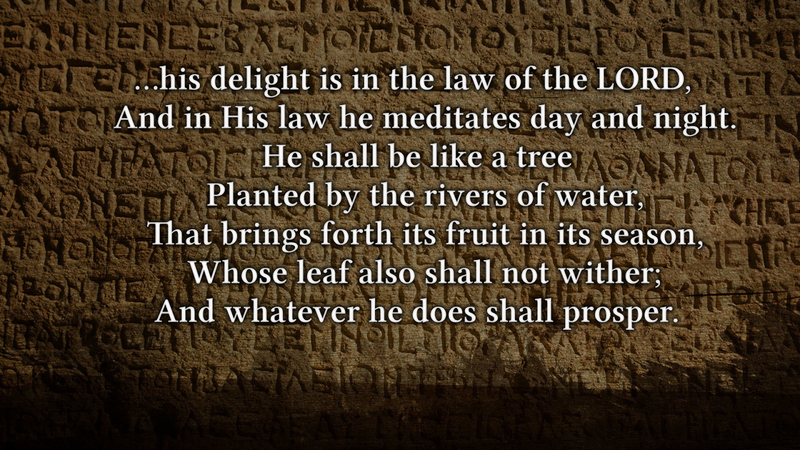 It is always a wonderful thing to dedicate some time out of our day and just meditate on God. In this state of meditation, He talks with us; He ministers to us and through His spirit will reveal things to us that on our own we probably would never contemplate. It's good to love to talk to God in our prayers, but it's even better when He takes the time to talk to us. He places words of encouragement in our heart; not only for ourselves but for us to share with others. He sends admonishments and leads us to words of edification. 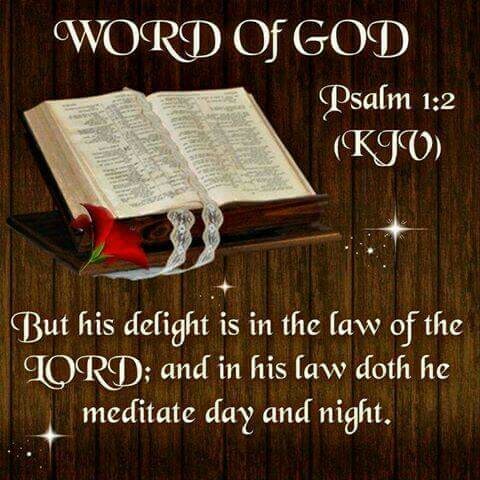 He enlightens His word within us and opens our understanding. Rest assured that whatever He gives you, He always comes back and confirms it through someone else. So on this particular day, I just felt led to write down some of the things that God communed with me. Prayerfully, you will see yourself in some of these statements and they will confirm some things in your life, help strengthen you and grow you in your relationship with God. When King Saul was caught in his disobedience, he was sorry, but only for being caught. Being sorry for your sin is not enough. Your sorrow must lead to repentance (confession, ceasing the sin against God, and resolving to live according to God's plan; it includes an admission of guilt, a promise or resolve not to repeat the offense; an attempt to make restitution for the wrong, or in some way to reverse the harmful effects of the wrong where possible). Get right or get left! God is coming back for a remnant of His people, will you be ready? Your reputation among men is not more important than your relationship with God. We are to build our self up in God so that others can see the God in us. We have to know that our sins, though some may be committed against man, are ultimately against the God we serve. Beloved, don’t you know that in God you are complete? It's not a man or woman who completes you. At best, they can enhance your life, but it is God who creates a perfect work in you. Just keep on praising him, anyhow, through the pain, the hurt, the struggles, the disappointments, and then will come the joy, the sunshine, the love, the victory, the rainbow at the end of the cloud. My soul loves Jesus – He is all that I need. Loving Jesus everyday, that's all there is . . .
Get in your word and find the encouragement you need to stay with the Lord! How are you letting God change you? He can’t do anything positive in you until you let Him. How can you be mad at God; He didn’t leave you, you left Him. God said in His word: I will never leave you nor forsake you. Don’t let go of His hand; hold on as if your life depended on it. Because guess what – it does! Every morning, we ought to be lifting our hands in praise to our wonderful Lord and Savior, Jesus Christ. ¨ Nothing & no one is going to separate me from the love of God. ¨ Respond to God’s word and he will respond to you. ¨ Be so rooted and grounded in God so that when you get there, your godly integrity will keep you there. Meditation is powerful because God shows up and communes in so many ways when we open our self to Him. He comforts me even as He chastens me in other areas. He speaks specific words for me to share on an individual basis with others. We cannot get so busy or caught up in our life that we don’t give God time to commune with us. Even in our prayers, often time we pray to God or rather, we pray at God and that is okay sometimes when we just want to say thank you. But, you need to allow God to speak directly to you; you’ll know it’s God because He will always confirm His word. Take the time to commune with Him through meditation. Come to the place where you realize that while you think you are waiting on God, He is waiting on you! Be encouraged and blessed in the Lord! God bless you Candy,at the present time this post reaffirms what the book of James has been speaking into my spirit. Counting it all joy when facing many trials. The spirit gives life,the flesh death. God bless you Clayton, it is wonderful to know that God will always give you confirmation of those things that He speaks into your spirit!